There is no better way to start gambling at a casino than the option Slot Fruity is offering. Access the website by selecting this promotion and register an account. Validate it through SMS and receive a no deposit bonus of £5. 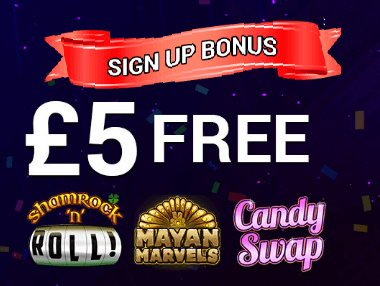 Play it through 100x on Shamrock N Roll, Mayan Marvels & Candy Swap Slots. You can then withdraw any sum up to £20.